How to handle security issues with Shangmail/Hudeemail? Hudeemail is a service claimed to be provided by Babeeta Beijing Technology Co. Ltd., but the profile of this company is not clear. It claims that its Chinese counterpart shangmail is a e-mail provider in china. Hudeemails’s website does not provide any physical address. Rather it claims that HudeeMail and Babeeta are two different companies and Babeeta handles the front end. Installation method of hudeemail has been described elaborately in my previous post about installation and some security concerns if it is a hack? To trust a company in China, whose legal system is completely unknown, is a little difficult. Worst part is that Blackberry is completely silent. No technical person comes forward with details. When hudeemail accesses the Google or Yahoo, first it accesses as if it is from a desktop from an IP address in USA. Hence the google/yahoo/etc. detect that account is not being accessed from the regular place or even country and a warning is generated. Warning does not give any indication as to what was the name of client which accessed its server. Further after installing hudeemail on BlackBerry, it by passes the regular mail client provided by Blackberry, altogether. If BIS (Blackberry Internet Services) are subscribed, we use regular Blackberry email client. When hudeemail is installed with a working BB email client, Blackberry client stops working. Only hudeemail works. This shows that one replaces the other. It is for above reason I had this theory that this application is more some kind of hack. It is not a regular email client like logicmail. If it is not a regular email provider then it is not clear how it works? It is claimed on the official page of Hudeemail that it works on “Dynamic-Hearbeat Technology”. Now what is this technology? Heartbeat is part of Linux-HA (High-Availability Linux) project which provides a high-availability (clustering) solution. It appears that it is some kind of virtual server technology which triggers a remote server on a specified event (e.g. receipt of new mail). It is anything but new. It is around for long time. We may continue to research on Heartbeat but it may not serve our immediate problem to solve security issue i.e. How to handle security issues with shangmail/hudeemail? First I created a filter for urgent type of mail in my gmail account. It was titled “Hudee”. Mail from strangers are generally not urgent. It is the people very close, who often use email as SMS. So identify such senders and put them in this filter. Now key word search of words like “urgent”, “danger” “expiry” or “death” was also directed to this filter. Now I created a new mail box with gmail. For example “sand2012 AT gmail DOT com”. 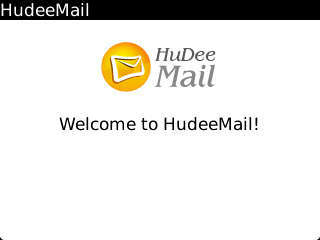 Now went back to earlier mail account and forwarded all the mail filtered with “hudee” to new mail account. Now connect the new mailbox with hudee and ignore warning message by google for new mailbox. Even if some thing happens to new mail box original copy of mail is safe. As regard confidentiality, that is a myth. Google reads every mail with its bot and creates our profile on that basis to run its ads. It is so even if we choose otherwise in the options. It would say it is lucky guess based on profile. For other mail use logicmail with settings to check once in an hour or two. For outgoing mail also use logicmail because if hudeemail is used, it will be sent from the new mailbox/account. Caution: Do not forward mails with financial details to new mail box or hudeemail. Is Blackberry Mail app hacked by HudeeMail/ShangMail? Where BlackBerry went wrong? Review and Suggestions. Blackberry is not a smart phone but an access device! This entry was posted in BlackBerry and tagged BB OS7, BlackBerry, HudeeMail, internet, logicmail, mail provider, Privacy, Pushmail, security, ShangMail, technology. Bookmark the permalink. Superblock read error| Diagnosing correct ext file system | Surviving fsck.ext3.ext4 messages in Precise Pangolin 12.04. Lost history and meaning of Vegetarianism in Hinduism and in West! This is a brilliant artricle/blog. I too have the same feelings about sharing my login details with this “company”. I haven’t chosen to use this app and I use logicmail instead purely because emails I get are not as important to be needed as Push so I can live with IMAP. For those who need push and use BB, just get BIS even if u have to pay for it because it could cost you less than having your important email inbox compromised. Servers based in china, two different names for the app, different company names and a server that acceses inboxes from USA? Thanks. For normal mail I also use logicmail but some mails are diverted to Hudeemail.